We just got a big package in our office today. I love getting stuff in the mail, especially when it’s product we’ve designed. So fun! Licensing your artwork is a long process and we usually don’t see samples for at least a year after a collection has been chosen for licensing. These greeting cards were selected last year by Leanin’ Tree. 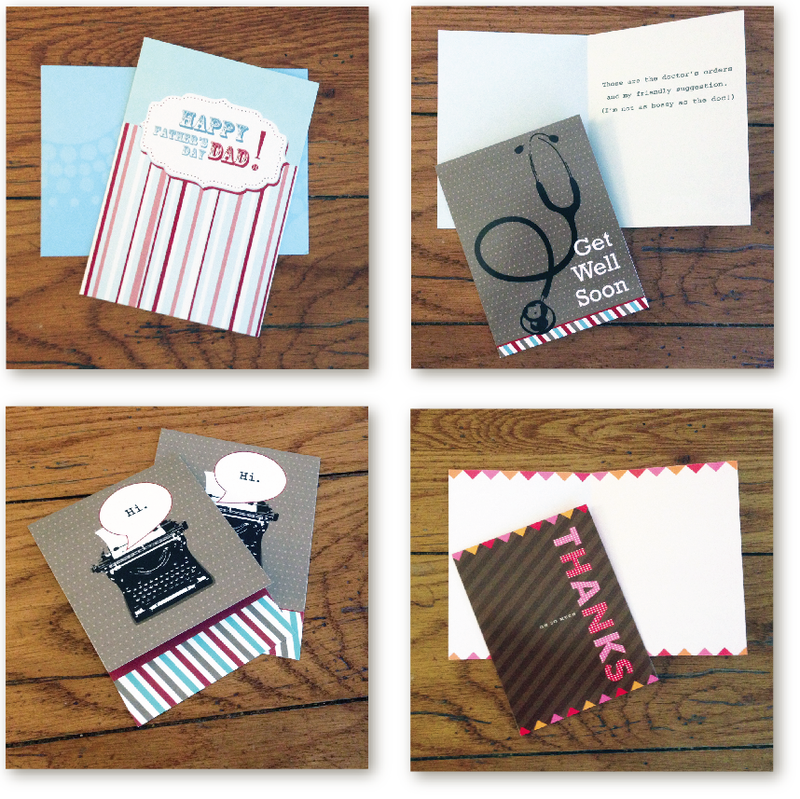 When we first started our licensing business it was designing custom cards with TinyPrints.com. We were one of their first artists. We are currently working with one of the TinyPrints founders on a fun new project that just launched called Obsesuhn. It’s still in the beginning stages but I am sure it will be a hit as well. Lots of great custom pieces for your home, like pillows and wall art. My pictures don’t do them justice, they are much brighter and cuter in person, but having some picture taking issues today! Hope you have a great weekend!